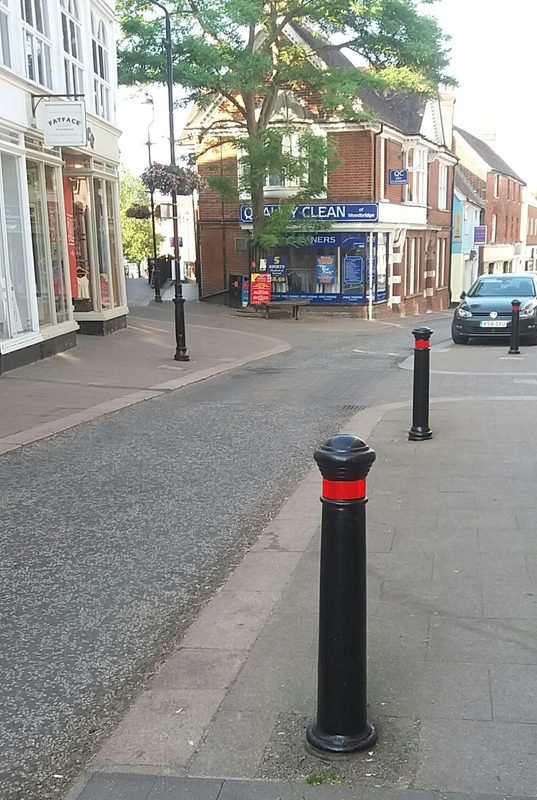 Newly painted, more easily visible bollards in the Thoroughfare – funded from my locality budget. Thank you, Quay church volunteers! As you may be aware, I and my colleagues within the Liberal Democrat, Green and Independent Group have been opposed to this policy change since it was announced in September 2018. There has also been very vocal opposition from schools, parents, carers and parish councils across Suffolk. We called in the decision to Suffolk’s Scrutiny. Woodbridge 20mph scheme progression Having had a preliminary design and costings drawn up I have met with Suffolk Highways to discuss the progression of Woodbridge’s 20mph zoning. Martlesham’s Cllr O’Brien joined me for my meeting with Highways officers and they agreed in principle to add the extra length of Sandy Lane onto the TRO for the Woodbridge scheme, if Cllr OBrien contributes the appropriate amount to signage and scheme. The Woodbridge Town Clerk has put in a significant CIL bid to support the scheme. After discussion with the officers it looks like I will be able to include the Thoroughfare scheme (separated because of decriminalisation of transport issues) which will be funded from my Highways budget. Jetty Lane update Jetty Lane has been lucky enough to be benefiting from a number of generous initiatives and donations – perhaps most notably an amazingly generous anonymous donation of £10,000 last week which will enable the CIC apply for planning permission (yes, its very expensive!). However, the CiC has also enjoyed the help of many other kind supporters over the last month: both donations from individuals and support from: the Regatta bucket collection, the Great Get Together, the Riverside Musical Theatre’s Showstoppers, and a lovely coffee morning fundraising from Deben Yacht club. Jetty Lane’s most recent consultation with hirers was held on 25th June. The CIC will have another display in the library shortly. 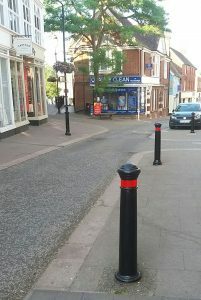 Quay Church assist in making Thoroughfare bollards more visible Many thanks to the volunteers of the Quay church 1000 hours scheme who worked with me and my Locality Budget to repaint the Thoroughfare bollards, making them more visible to people with restricted visibility. This was a key request concerning Woodbridge from Suffolk Coastal’s Disability Forum. Agreed 20mph zone & calming in Woodbridge Years of requests from Woodbridge Town Council, individual bodies and local residents came to fruition in February when I presented a report and a mass of supporting documentation to Suffolk’s Speed Panel – and got through – ambitious proposals for speed calming in Woodbridge. I am grateful to the contribution of former Mayor Nigel Barrett to this and much cross-party support in managing to make this finally happen. to support the Woodbridge ‘Walkers are Welcome’ initiative. The approval of the panel, though vital, is only the first step. All speed changes have to be put out to community consultation before current speedscan be changed and funding has to be found from a variety of sources. There will be 4 years’ Highways funding from the County Councillor, and we will hope to draw from money for Air Quality and CIL money payable on account of local development. Thoroughfare traffic improvement I regrouped the Thoroughfare Working Party in November to try and tackle the continuing issues of traffic in the Thoroughfare – balancing the needs of residents, visitors, traders, shoppers, pedestrians and (necessary) vehicle users. Representation is from all 3 levels of council (cross-party), retailers, residents, police and highways engineers. The aim is to try and find consensus for a short, mid- and long-term plan to improve footfall and preserve the future of the Woodbridge Thoroughfare in all its aspects because it is the heart of Woodbridge and the lifeblood of the town. There are two different issues with different enforcement needs (people driving through and people parking). We look as if we are close to reaching a solution which can be put out to community consultation. Woodbridge Youth Centre Although some years ago I had been assured by Suffolk’s Chief Executive Deborah Cadman that no decision concerning the Woodbridge Youth Centre would be made without full disclosure to all Woodbridge councillors, I was called into a meeting last summer to be told the centre would close imminently. The centre had been home to many community initiatives: Not only was it home for Just 42, there had been a youth club there for decades, The Gateway social Club for people with learning disabilities met there for 30 years, Company of 4 used it for rehearsals, it housed classes for Pilates, baby massage, country dancing, French, Italian, English as a second language, tai chi, as well as having a very important role in young people’s social care, and as a ‘safe house’ for children to meet parents in difficult home situations. 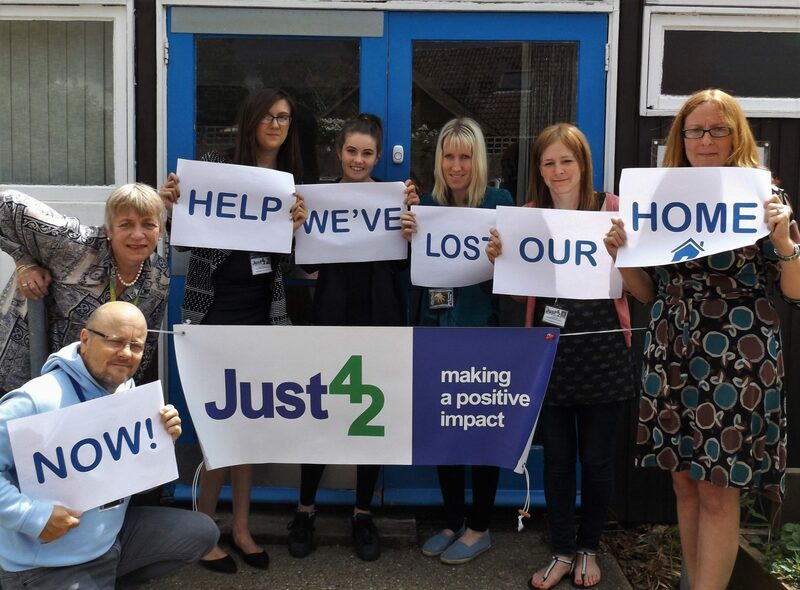 Suffolk County has offered the site on a long lease if a good business case can be made within a year for a new centre, and (once Just42 was rehoused in temporary accommodation), we have got a group together to ensure that we can rebuild the youth centre on its present site as soon as possible for all users! New rural Community Transport – new difficulties for Bus Pass holders After Suffolk’s Conservative administration stopped supporting scheduled bus services in many parts of rural Suffolk back in the Andrea Hill era rural dwellers have relied on a patchwork of demand responsive services. In June these were brought together under a new community franchise offer, with the aim of rebranding and savinf significant sums (the county no longer provide free vehicles – saving some £570k (which largely voluntary bodies would have to find) – but also SCC would HALVE the community subsidy from £1.4m to £700k over the next four years) Although Suffolk was told this would create parity across Suffolk, it has instead created a postcode lottery . While Suffolk Coastal Community Transport -operated by previous operators CATS and FACTS (in Felixstowe)- will be operating the same services as before: a mix of Demand Responsive Transport (on which bus passes will be accepted), and door-to-door and community car services on which passes won’t be accepted (exactly as before.) in mid-Suffolk, the franchisees no longer operate Demand Responsive Transport in their Community Transport offer – eg Bus Passes will NO LONGER be accepted, under-16 fares will only apply if are accompanied by an adult, and the under 18 reduction is derisory with no provision for young people to use SCC’s Endeavour card. This leaves all people eligible for concessionary passes in mid Suffolk with the choice of accepting £100 in vouchers and no pass (for travel outside midSuffolk) or a pass that cannot be used where they live. And of course Suffolk bus pass holders from other districts cannot use them to travel into mid-Suffolk either. Queen’s 90th Birthday Commemorative Badges for Woodbridge Children In the past Britain’s schoolchildren were always given a souvenir to commemorate special occasions and this year it seemed – particularly in this time of austerity – a good idea to revive this custom. 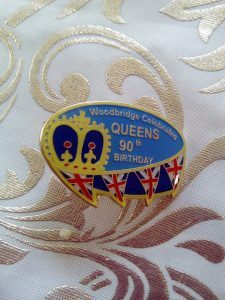 So I funded a commemorative badge for every child in every Woodbridge school to celebrate and commemorate the Queen’s 90th birthday (2975 badges). Over the birthday week deputy Mayor Clare Perkins and I personally handed out about 2000 badges. Suffolk Highways Maintenance Controversy: A new Highway Maintenance Operational Plan, and Contract extension In the summer Suffolk’s administration agreed a new Highway Maintenance Operational Plan with contractors, Kier, and towards the end of 2016 extended their contract – despite their record of appalling performance. The good news is that it concedes that the previous way of Highways Maintenance working was unwieldy and inefficient, as county, town and district councillors across Suffolk could testify. There should now be a much more unified and strategic way of working between SCC and contractors Kier to try and make things work more efficiently than they have, meaning that the Highways small schemes backlog – created solely by this administration’s ideologically driven decision to outsource the contract in the name of efficiency savings – may clear at long, long last. The bad news is that the mantra of ‘you’ve got to pay the market price for the work you get’ is very much to the fore, so there is no suggestion of many highways schemes being affordable any more. (I have recently been quoted £5,000 to ‘design’ the siting of a single bollard!) Small towns like Woodbridge will no longer be able to rely on their County Councillors’ Highways budgets. Currently these are half what they were at best (mine is £6660 this year). Yet jobs will be many times more expensive. At county Cabinet meeting I asked whether this was not a case of the ‘tail wagging the dog’? That this newly designed Highways Maintenance Operational Plan (the second one in a year!) had been constructed to fit the contractor because the contractor had been unable to stick to the agreed plan? (This was loudly rejected – but with little evidence). In particular I pointed out the utter absurdity of a private organisation mouthing the ‘you’ve got to pay the market price for the work you get’ mantra whilst providing no competition to ensure that they are offering good value for money. I was talked down, of course. As for Kier’s contract extension, this appeared to be for no more cogent reason than Macbeth’s “I am in blood so stepped that should I go no more, returning were as tedious as go o’er.” Again, I spoke and urged the council to return to cheap, efficient, knowledgeable in-house provision as we had in the past. Again, the quiet voice of reason was overlooked. Cassandra could take my correspondence course. Another Cuts budget for Suffolk, 2017-8 Suffolk County Council’s County Budget 2017-18 was set at the beginning of February. The Conservatives emphasised keeping spend down and how they have amassed large reserves over the past seven years of zero council tax rises. Labour wanted to spend to preserve services and give the residents of Suffolk what they need. Lib Dems felt the Conservatives were cutting too hard but Labour were spending at the top limit of what would be possible. The Conservative’s slender majority carried the day and a further £30million will be cut from services. 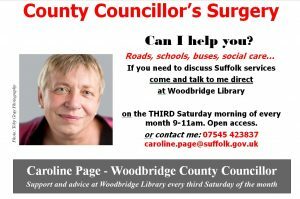 Woodbridge Library petition gains 1200 signatures in 10 days Amongst the many cuts to this forthcoming year’s budget, Suffolk County Council is inflicting a further £230,000 cut to the library service. (£280,000 if we include the archives) on top of the significant cut made in this last year. 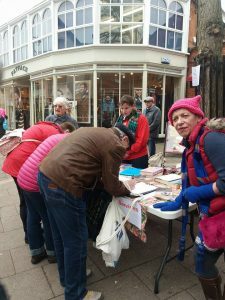 In ten days in February I got 1200 signatures in Woodbridge to amypetition which read “We oppose any further reductions to the funding of Suffolk’s invaluable and irreplaceable library services, and urge Suffolk County Council not to make this cut. “ The people who signed were of all ages, backgrounds and political affiliations – the eldest was 101. The one thing they agreed on was that these cuts were unacceptable. Over and over again the signatories’ comments repeated the fact that our libraries are ‘essential’, ‘vital’, and that users want “No more cuts!”. At the budget meeting I asked the administration, on behalf of the people I represent, to withdraw this cut. Once again, they did not listen. All of these will impact on residents of Woodbridge. Obviously each potential corridor would have different impacts on the environment, and on the potential to support future growth. We now have to wait the next stage of study will examine route options in more detail, including traffic, economic and environmental impacts. It will also consider the extent to which the options might support potential future scenarios for housing and employment growth beyond 2031. First “No Cold Calling Zone” for Woodbridge Suffolk Trading Standards and I visited every home in Morley Avenue to talk to residents about their experiences with cold callers, to set up a ‘No Cold-Calling zone’ in the Avenue and to supply “No Cold Calling” door stickers advertising this. 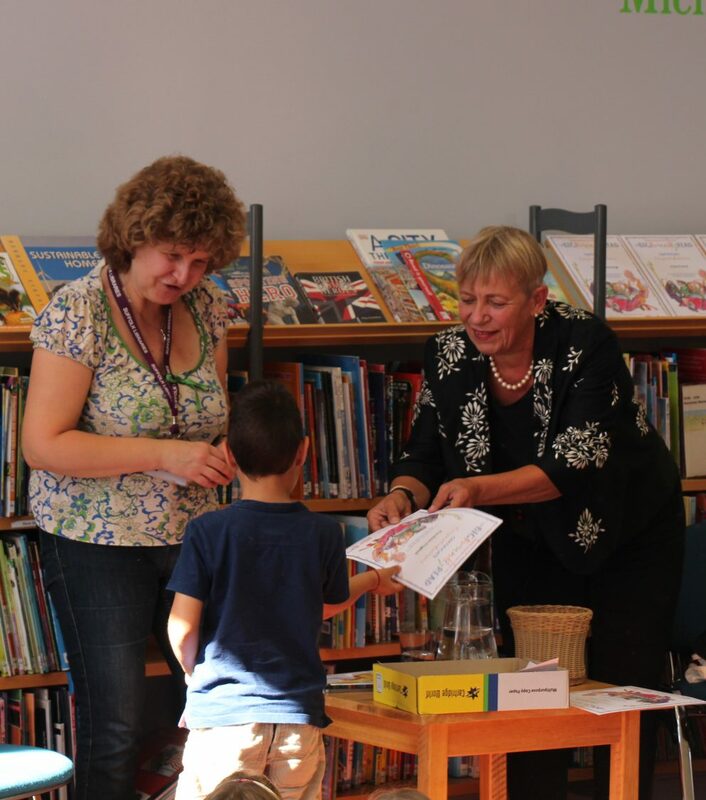 Woodbridge Library Reading challenge 400 children registered this year, 60% of whom finished the challenge. This meant Woodbridge Library volunteers spent 250 hours helping with the scheme over the summer, and I presented 240 certificates at the award ceremony in September!! !This year I augmented the scheme by funding story-reading sessions for the children over the summer, a Dream Jar competition and a magic show to finish the afternoon off in style, once the certificates had been presented. Planning Developments I have, as ever, made representations both to planners and to Highways officers regarding proposed developments in my division where I have been concerned that the impact on county council infrastructure and services would be unsustainable. The Gladwells and Queen’s House developments were cases in point. 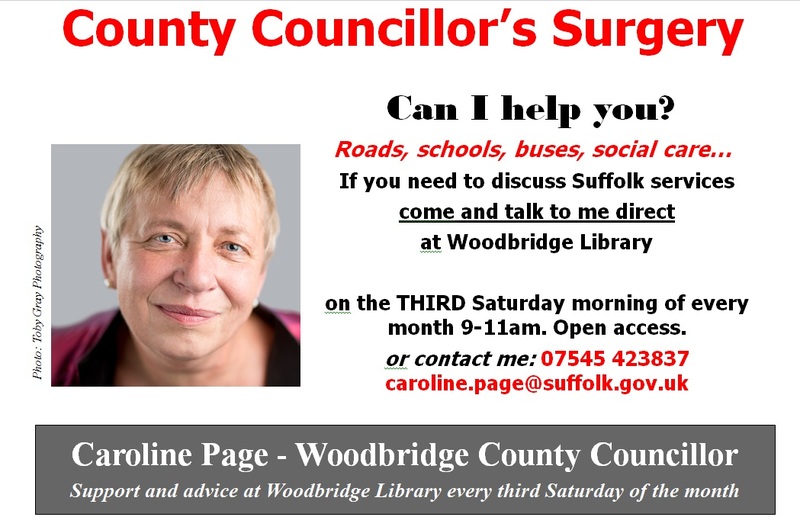 County Councillor’s Surgery My regular monthly open access County Councillor’s surgery in the library, now in its 7th year, continues to bring in more and more people from across an ever-wider sector of Suffolk Coastal. It is clear that many Suffolk residents would be grateful if their own county councillors held open-access monthly surgeries. Currently I am the only one. Just saying! Overwhelming issues are parking, speeding, road surfaces, and pedestrian problems. However I deal with problems as diverse as deportations, youth issues, special educational needs, disability concwens, social care crises, homelessness, charitable organisation support – and benches! Very positive news about speeding in Woodbridge and sorting the Thoroughfare issues offset news of yet more budget cuts and library cuts. There is also hope for Woodbridge for the new Park & Ride. I’m also planning to ‘claim’ a piece of land for a bus stop. Suffolk’s County Budget 2017-8 Suffolk County Council’s County Budget 2017-18 was set at the beginning of February. The Conservative emphasis was on keeping spend down and how they have amassed large reserves over the past seven years of zero council tax rises. Labour wanted to spend to preserve services and give the residents of Suffolk what they need. Lib Dems felt the Conservatives were cutting too hard but Labour were spending at the top limit of what would be possible. In the end the administration carried the day and a further £30 million will be cut from services. Suffolk Library Services suffer further cut Amongst the many cuts to this year’s budget, Suffolk County Council is inflicting a further £230,000 cut to the library service. (£280,000 if we include the archives) . Over the last years, staff and volunteers have worked to keep all the Suffolk libraries open as IPSs and to increase and improve provision across the county. They consider they have already streamlined services as far as practicable. Investing in the immense range of things our libraries do so well and so cheaply is building social capital that benefits Suffolk in a huge range of ways. In my view it is simple madness to damage it or throw it away. 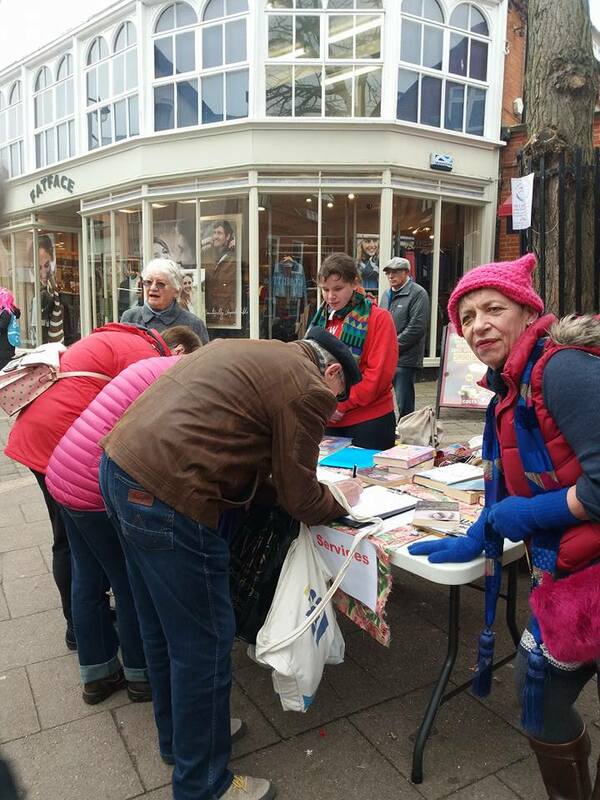 In the last ten days on the streets of Woodbridge, I managed to get 1200 signatures for a petition which says “We oppose any further reductions to the funding of Suffolk’s invaluable and irreplaceable library services, and urge Suffolk County Council not to make this cut. “ The people who signed were of all ages, backgrounds and political affiliations – the eldest was 101. The one thing they agreed on was that these cuts were unacceptable. Over and over again the signatories’ comments repeated the fact that our libraries are ‘essential’, ‘vital’, and that users want “No more cuts!”. At the budget meeting I asked the administration, on behalf of the people I represent, to withdraw this cut. Sadly, they did not listen. 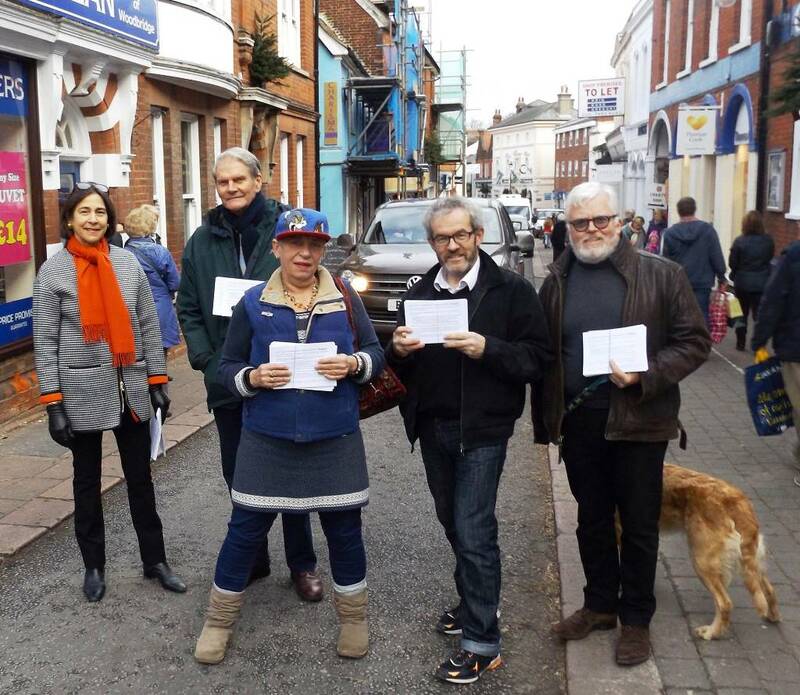 20 mph zone and calming proposals for Woodbridge We are on target to get the report to the Suffolk County Council Speed Panel for the meeting of 22 February where I will present it. Woodbridge Thoroughfare Working Group update This is meeting very productively with reps from all Woodbridge’s elected parties, and councils, the police, the Highways officers, the traders and the residents with the aim of trying to find consensus for a short, mid- and long-term plan to improve footfall and preserve the future of the Woodbridge Thoroughfare in all its aspects because it is the heart of Woodbridge and the lifeblood of the town. 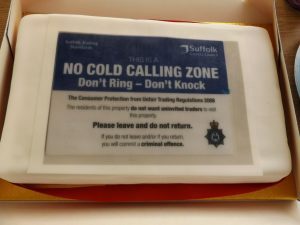 A sticking point is enforcement, and only some of the enforcement issues can be solved by the prospective decriminalisation of parking offences and its transfer from the police to Suffolk Coastal District Council. Proposals for Ipswich Northern Bypass – and how each may pact on Woodbridge With Ipswich coming to a standstill every rush hour and every closure of the Orwell bridge, a progress report into the need for additional road capacity to the north of Ipswich, has been published (aka the long-proposed Ipswich Northern bypass). All of these will impact on residents of Woodbridge. Preliminary traffic modelling has indicated that roads in each of these corridors would have different effects on traffic eg. an outer corridor would have more benefit to longer distance trips than trips more local to the Ipswich area. Each potential corridor would also have different impacts on the environment, and on the potential to support future growth. The next stage of study will examine route options in more detail, including traffic, economic and environmental impacts. It will also consider the extent to which the options might support potential future scenarios for housing and employment growth beyond 2031. Proposed Bus Shelter opposite Notcutts Having been unable to find out ownership of the untended strip of land next to the Cherry Tree on which there is a broken bench, SCC Highways intends to put up notices ‘claiming’ it so as to allow us to put up a bus stop there without (potentially) being sued! County Councillor’s Surgery My monthly County Councillor’s surgery in the library, now in its 6th year, continues to bring in more and more people. December’s surgery had people waiting for the 9am start, was packed from start to finish, and lasted for three and a half hours (so finished an hour and a half late) due to pressure of numbers. The overwhelming issues are parking, speeding, road surfaces, and pedestrian problems. However I deal with issues as different as deportations, youth issues, special educational needs problems, social care crises, homelessness, and charitable organisation support. Unfortunately I had to cancel February’s surgery through illhealth – the first time I’ve ever done this in over 6 years. There will only be to more surgeries in the remainder of this electoral cycle:18th March – and my final surgery of this electoral cycle on 15 April.